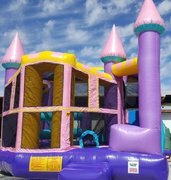 This Sparkling C5 Combo style bounce house is the ultimate in inflatable jumpers! The large interior jumping area offers a basketball hoop and both log and pop-up obstacles. This bouncy castle has a climb feature and a convenient exit water slide for hours of active fun! Parents and spectators are offered a clear view with the 360-degree mesh sides of this moonwalk. The 5-in-1 combo bounce house is made of lite n strong™ fire-resistant vinyl for safety, durability and easy portability. This 5-in-1 bouncy house is sure to make any indoor or outdoor event a great success! 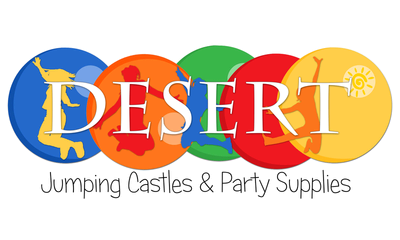 Add a themed party banner for only $5! Available as a dry unit also.